Many people take multivitamins for extra nutritional insurance in the face of a busy lifestyle and inconsistent lifestyle choices. 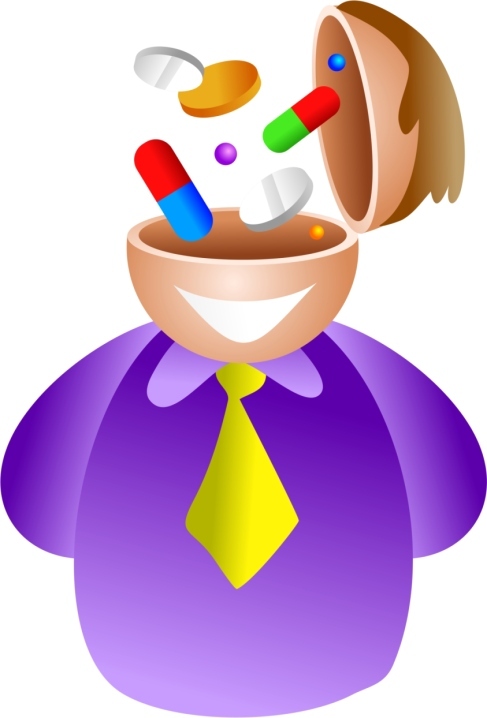 Did you ever think that taking a multivitamin could lead to better brain power? Although there have been some claims made regarding the use of multivitamins and health status, I have never heard of this particular health claim. It is no surprise that when researchers actually put this claim to the test, they realized what most of us already understood regarding the use of multivitamin supplements. A recent study published in the Annals of Internal Medicine looked at the effect multivitamins had upon the cognition of 5,947 physicians over the age of 65, who were followed for 12 years. The subjects were randomized into various groups who either received the multivitamins, single nutrients (beta-carotene, vitamin E, and vitamin C), or a placebo pill. The subjects were evaluated for cognitive function through a telephone interview four times during the trial. The results of this study showed that there were no differences in cognitive function in the subjects taking the multivitamins contrasted to the placebo group over the 12-year period. “These data do not provide support for use of multivitamin supplements in the prevention of cognitive decline,” said the study researcher. However, they did also suggest that it may be important to consider some other health effects of multivitamin supplementation as previously shown, including the modest protection against overall cancer risk with long term use. Multivitamins are formulated to produce an additional nutritional “punch” to an inadequate diet which is certainly the case in aging people. However, these formulations were never intended to affect the brain to this degree. They are designed for a general benefit to the human body and do not have drug-like properties. In my opinion, making the health claim that multivitamins can keep you smart as you age would be irresponsible, to say the least. This data sampled a group of well-nourished and well-educated professionals so how realistic are the findings? Hughes, S., “No Effect of Multivitamins on Cognition,” Medscape web site; http://www.medscape.com/viewarticle/817928, last accessed December 23, 2013. Grodstein, F., et al., “Long-Term Multivitamin Supplementation and Cognitive Function in Men: A Randomized Trial,” Ann Intern Med 2013; 159(12): 806-814.